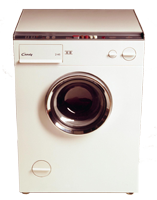 Candy Automatic is the first modern fully automatic washing machine, with a central glass porthole door and horizontal suspension and drum. 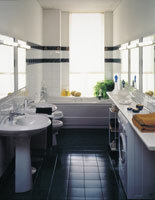 This model establishes the European standard still in use today. The year 1966 witnesses the launch of the following products: Stipomatic, an automatic dishwasher with two compartments, and the Superautomatic washing machine. The Candy Misura washing machine is produced in the same year, the first compact washing machine that will pave the way for the Aquamatic series. 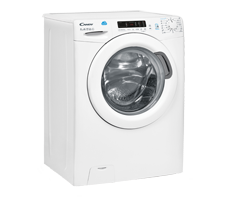 The Candy Tempo and Variant washing machines are the first to feature programmes able to set the water temperature to cater for different types of fabric or add an additional washing cycle – of up to 30 minutes - for stubborn dirt. Candy becomes the first Italian company to produce No-Frost refrigerators: the cooling technology designed to prevent the formation of frost. 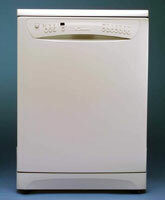 The TRIO combo is launched: a single domestic appliance comprising dishwasher, oven and hob in standard sizes. An unrivalled solution even in today’s market. 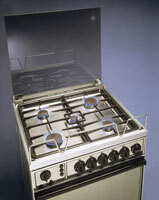 Candy presents the first 60 cm cooker with 5-zone hob: one more than the standard product. Candy introduces Alisé: the first washer-dryer in Europe with internal condensing unit. 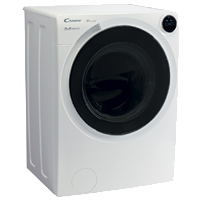 Candy becomes a specialist in the slimline washing machine segment with the launch of the “Salvaspazio” range Candy Holiday is the first 33 cm washing machine that fits standard bathroom units. This segment also features a series of innovations. 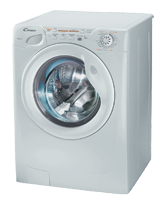 The same year also sees the launch of the first washer-dryer with a width of only 44 cm. 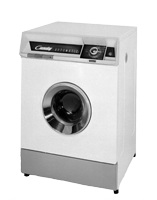 Candy focuses on the design of standard-size washing machines with large capacities: front-loading washing machines for loads of up to 11 kg, dryers for loads of up to 10 kg, top loading washing machines for loads of up to 8 Kg. 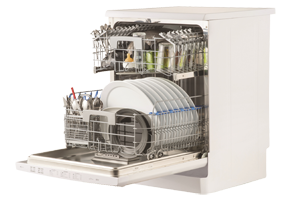 The Futura dishwashers are the first to wash up to 15 place settings in a standard-size appliance. 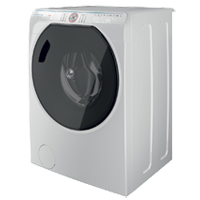 The GrandÓ washing machines feature the largest porthole door on the market: 35 cm in diameter and 10 cm taller than the standard, it enables the user to load and unload laundry with ease. 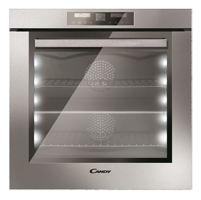 DUO is the exclusive 2-in-1 solution that includes an oven and a 6 place setting dishwasher. 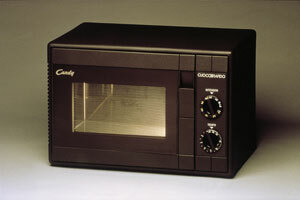 Candy patents Usee: 14 LED lights positioned inside the oven door replace the traditional incandescent light bulb. 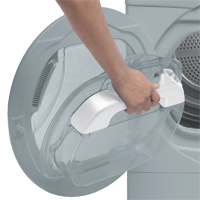 With Aquavision candy revolutionises the system for collecting the condensation inside the dryer: a patented water tank built into the porthole door of the dryer. Mix Power System: the most effective rapid wash ever seen on the market. 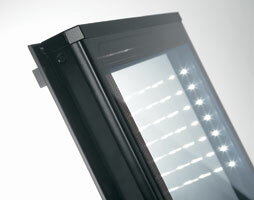 The Maxi ovens have a capacity of 78 litres, the largest on the market for a standard-size oven. Evospace MaxiPlates is the first dishwasher to wash 16 place settings in 2 drums. Alisè: the first 8+5 washer-dryer in with a depth of only 45 cm. Candy introduces the first full range of smart domestic appliances: Candy simply-Fi. 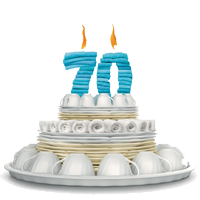 Candy celebrates its 70th anniversary and formulates its new development strategy. Candy introduces the first fully range on the market to be fully connected via NFC technology: Smart Touch. Watch & Touch oven. The only oven with fully touch-operated door and built-in HD video camera. The The Bianca washing machine is the first voice-controlled model on the market with integrated virtual assistant. Hoover introduces AXI, the first washing machine to incorporate artificial intelligence.